One of the best ways to store earrings in the humid environment of Singapore is in a plastic container, keeping fashion accessories in this manner prevents them from oxidising as well as becoming dusty. 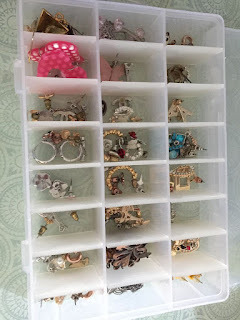 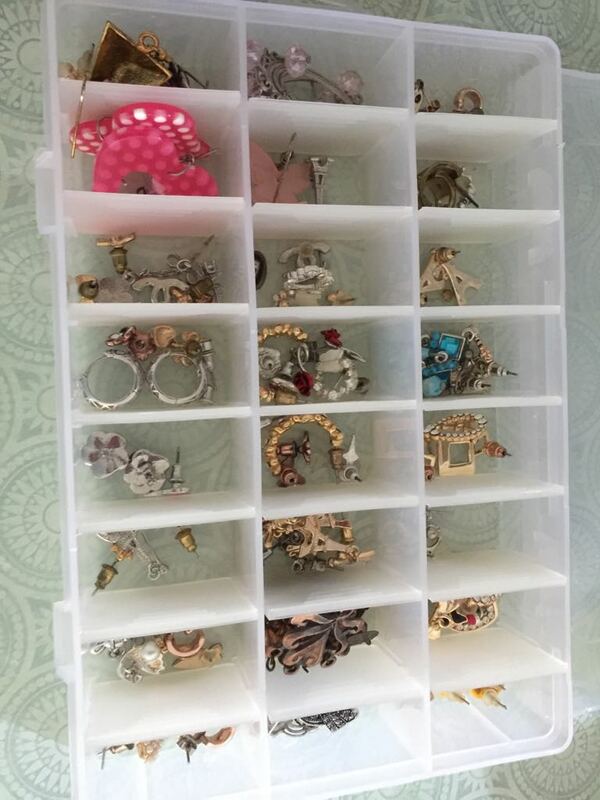 The containers with the individual slots are perfect but finding a pair of earring without rummaging all the earrings can be a pain. By placing your earring onto pieces of card paper it not only makes them easy to find, it is also more aesthetically pleasing to the eye. 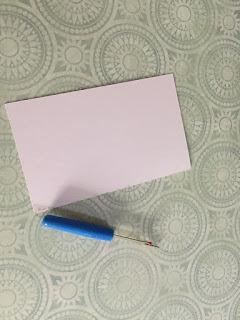 Step 1: Get some card paper and a sewing seam ripper, you could use a pen or pencil but i found that the seam ripper dies a great job in poking the holes into the card and it does grip on to the paper while the hole is being poked so the paper does not slip from your hands. 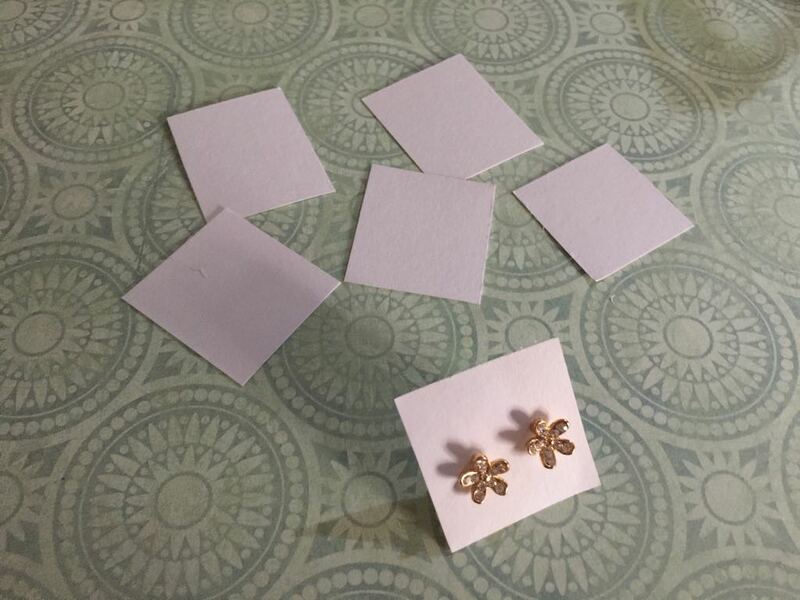 Step 2: Cut the card paper into 8 smaller pieces and us the seam ripper to poke 2 holes for the earring to go into. 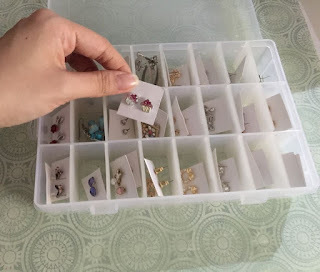 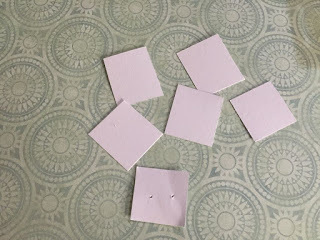 There you go a cheap and easy way to keep your earrings organised, and you can recycle these small bits of the card once they are torn or unusable.